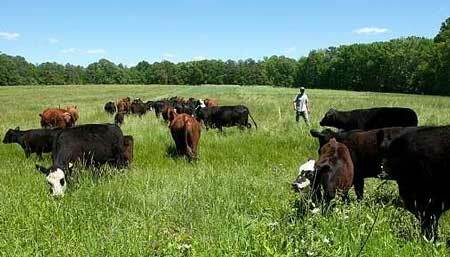 Is Grass Fed Beef Production More Expensive Than Producing Grain Fed Beef? Than Producing Grain Fed Beef? Asking whether grain fed or grass fed beef production is cheaper is a bit like asking whether it is cheaper to build a car or a truck... it all depends on what components are being put together, how the assembly line is structured, what kind of financing is used to set up the business, how much automation goes into the production process, how much is spent on marketing, and what kind of market that end product is being sold into. Whether it is beef or vehicles that are being created in your assembly line, your production costs boils down to how much time and effort you put into designing a comprehensive and seamlessly integrated production system from start to finish. Grass-fed and grain fed are each very different production strategies… and they each have many, many variables that will be different from farm to farm. Nonetheless, grass fed production has the potential to be significantly cheaper than grain-fed production because of the lower capital requirements of letting cattle do the majority of the forage harvesting instead of using capital-hungry equipment, fuel, and human labor. Yet despite this potential huge advantage, many grass-fed beef farmers complain about much higher production costs when they switch from grain-fed to grass fed production. In most cases this is because their new grass fed production strategy has not had a complete redesign from top to bottom to create a seamless grass fed production system. 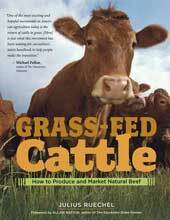 It is possible to produce a grass-fed beef product without incorporating any of the cost-saving grass-fed production principles discussed in my book or on this website. Just because the end product -- the beef -- meets the USDA definition to be marketed as grass fed beef does not mean that the farmer has incorporated any cost-saving grass fed production strategies, like rotational grazing, spring calving, extended season grazing (+/- deep winter grazing), daily pasture moves, and so on. For example, to qualify as grass-fed beef, the beef does not have to be sourced from calves born in the summer during the growing season - it makes absolutely NO difference to the beef quality at what time of the year the calves are born. But it makes a HUGE difference to the cattle farm's production costs whether your cows calve during the spring or out on pasture during the growing season. And the cost advantage of calving during the growing season extends far beyond just higher survival rates, lower disease pressure, less labor checking on the cow herd. By switching to summer calving, the cattle herd can safely lose some body condition during the winter without affecting fertility (within reason - see BCS article), which a spring-calving herd cannot. This in turn means that a summer-calving herd can extend their grazing season deep into the winter - even long after the snow begins to pile up in the pastures - using winter grazing strategies that will significantly reduce the production costs. But a cow herd that calves before the growing season begins cannot safely use this powerful cost-saving beef production strategy. A traditional spring-calving herd simply cannot safely winter graze as late into the winter months without risking health and fertility. Consequently, more hay must be made, more feed pens created, more equipment must be owned, more manure and more bedding must be handled, composted, and spread, and so on. So, while calves born in spring vs summer can both be grass finished and marketed as grass-fed, the production costs will be VERY different. Another strategy that can make a HUGE difference to production costs is how the grazing rotation is set up and managed. A seamless pasture rotation with daily pasture moves not only reduces labor costs, it also can significantly increase pasture productivity (more grass produced per acre), increase cattle nutrition (increase weight gains), and improve the quality of grass available for winter grazing after the growing season ends. So, again these vast differences in grass fed production strategies make a HUGE difference to the production costs, yet none are a mandatory prerequisite for producing and marketing grass fed beef. Thus the short answer is that the cost to produce grass fed beef all depends on what grass fed production strategies have been built into YOUR farm's beef production plan. Go to the Grazing Strategies article index to learn more about low cost beef farming strategies and how to set up a seamless beef production program for your farm. Test your beef production knowledge in the Grazing Quiz. Or, return to the article index on the Frequently Asked Questions main page.